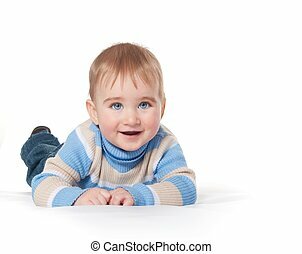 The baby boy portrait on white background. 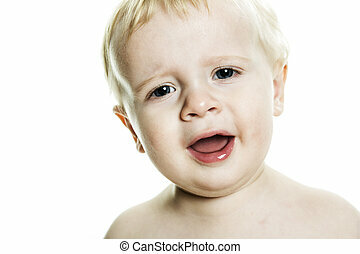 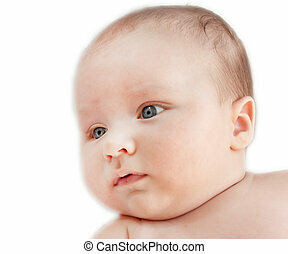 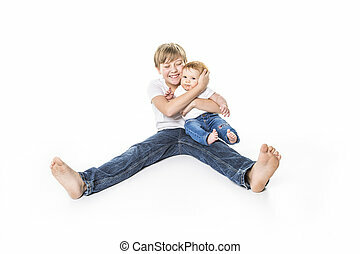 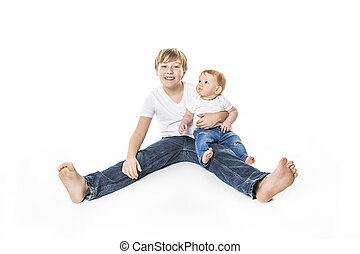 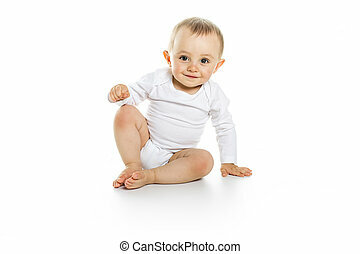 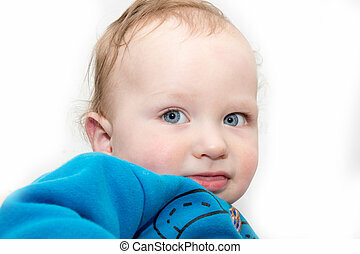 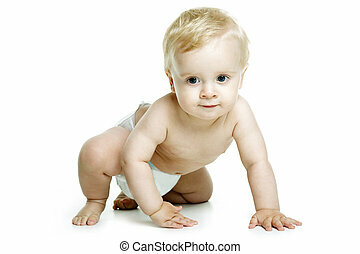 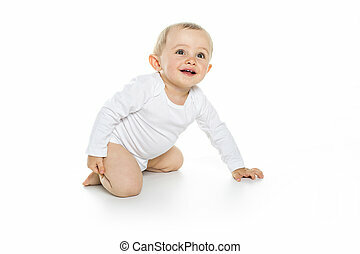 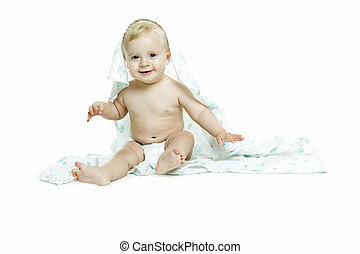 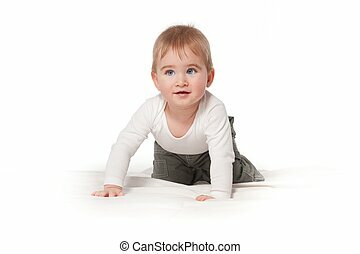 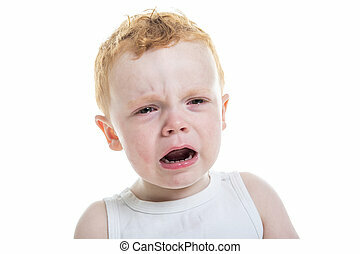 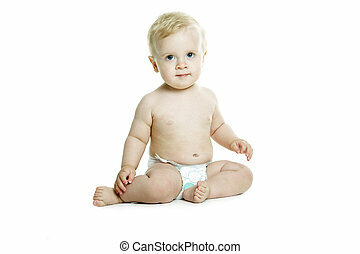 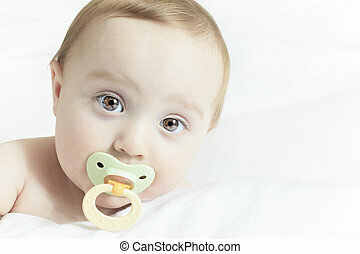 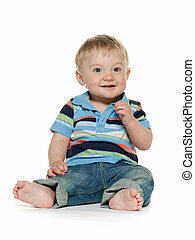 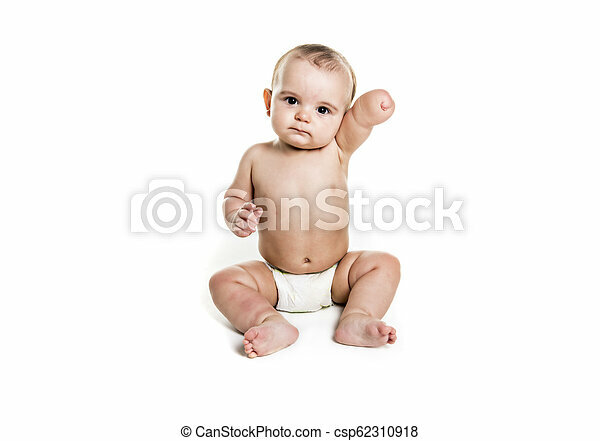 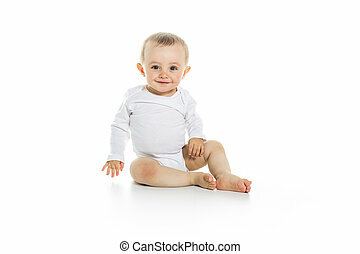 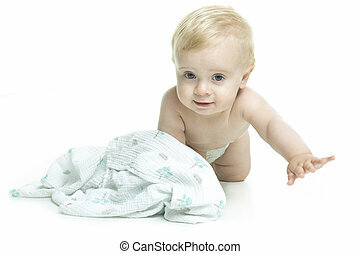 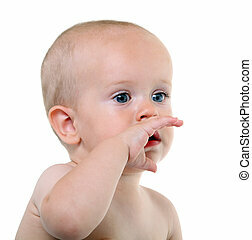 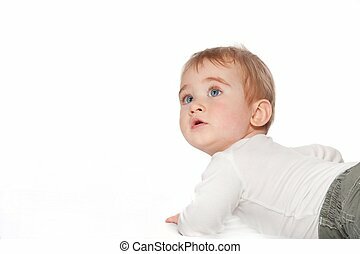 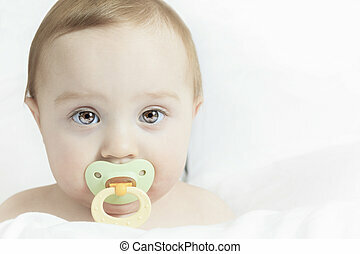 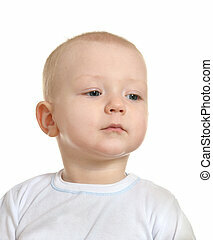 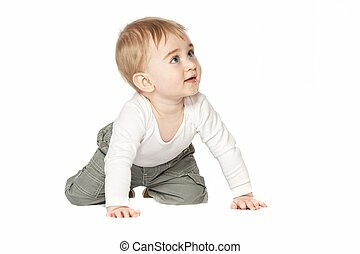 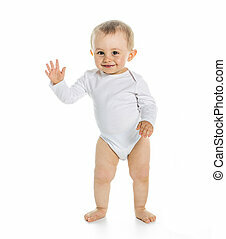 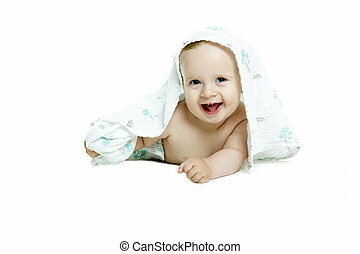 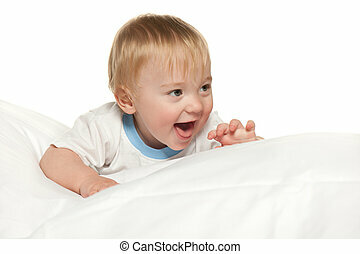 A baby boy portrait on white background. 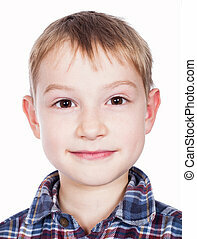 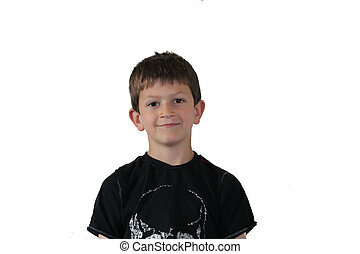 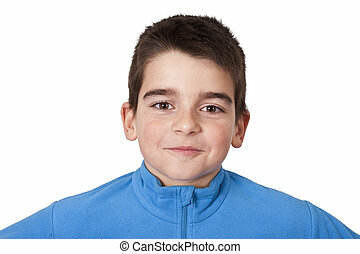 smiling young boy portrait on plain white background.